To request our brochure, please fill out the form below. 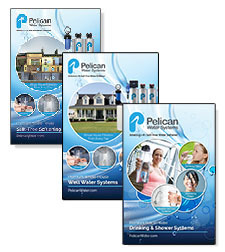 Thank you for your interest in our Pelican products. 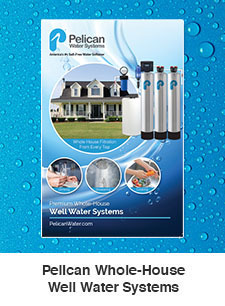 We are glad you are interested in learning more about your water and the different types of water treatment systems available. Our mission is to deliver high-quality water treatment products that benefit every part of the consumers' lives while keeping the effects to the environment in mind. We hope to raise the quality of life by purifying its most essential element: water. We live in a day and age where the state of the environment has never been more threatened so choosing the right water treatment for your home has never been more important. 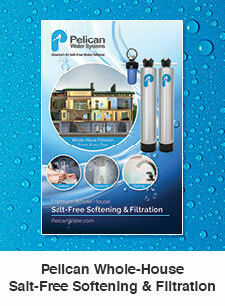 Please fill out the form below to receive our information packet on how a Pelican product can benefit you. If you have immediate questions, please use our contact form or call us at (877) 842-1635. Please include me in your mailing list for periodic product news and updates. 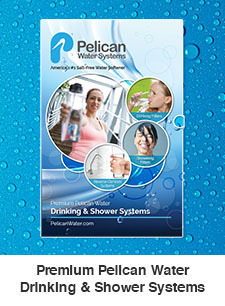 By filling out this form, you authorize Pelican Water to use the phone number entered to contact you by text so that we may respond to your request, even if your telephone number is currently listed on any federal, state, or corporate “Do Not Call” lists. This includes the usage of automated technology. We will not use your data for any other purpose than to respond to your request, and if interested, to schedule a free consultation of your water treatment needs. You understand that this consent is not required to make a purchase. There is no charge for texts, however your wireless carrier may charge you for receiving text messages. Message and data rates may apply, message requency varies. Reply STOP to the number to opt-out of text messages.